181 Front Street. Photo by Tectonic. 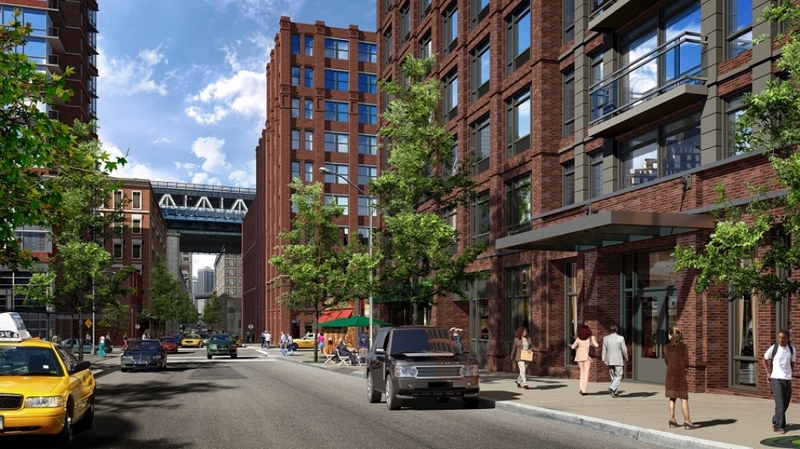 It’s been over half a year since we gave you an update on 181 Front Street, a mixed-use project between Jay Street and Bridge Street in DUMBO. Back in July, foundation work was being done. Now, there’s some building to be seen. Photos sent to us by our friend Tectonic, show the structure is about two-stories off the ground. 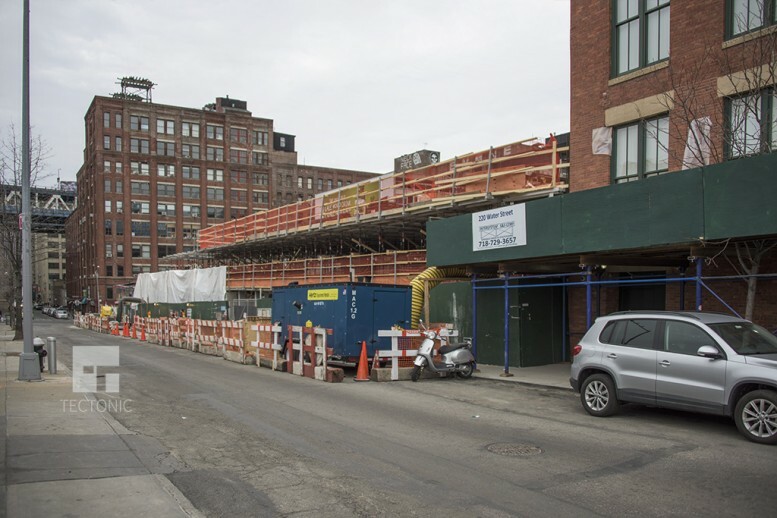 The development will eventually reach 12 stories, rising to 117 feet, according to the latest new building permit. There new building will encompass 105,899 square feet. Rendering of 181 Front Street. Via Aufgang Architects. Of that, 104,411 square feet will be devoted to 105 residential units. That works out to an average unit size of over 994 square feet. These will be “luxury” rentals, according to the website of Suffern, N.Y.-based Aufgang Architects. There will be seven apartments on the first floor, 12 on the second floor, 13 each on the third through sixth floors, 11 each on the seventh and eighth floors, and three each on the ninth through 12th floors. There will be 48 parking spaces in the cellar, as indicated by the Schedule A, though the new building permit indicates 59 spaces. There will be space for 54 bicycles and other amenities will include a gym, stroller room, an outdoor recreation area, and several in-building laundry rooms. There will be 1,488 square feet of commercial space, with a unit on the first floor. Rendering of 200 Water Street. Via Aufgang Architects. 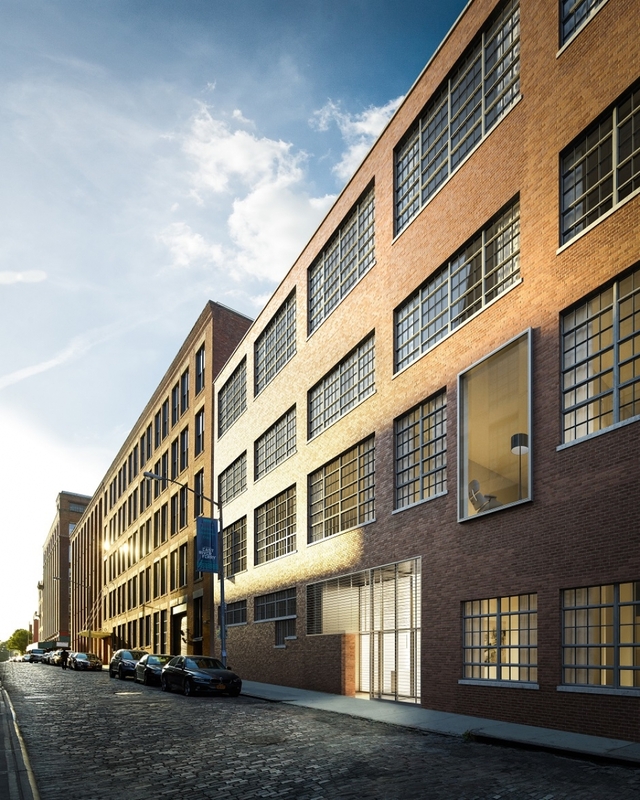 The project is being developed by Urban Realty and Megalith Capital and includes the expansion of a warehouse at 200 Water Street. That is being grown from a four-story 60-foot-tall structure to a six-story 80-foot-tall structure. 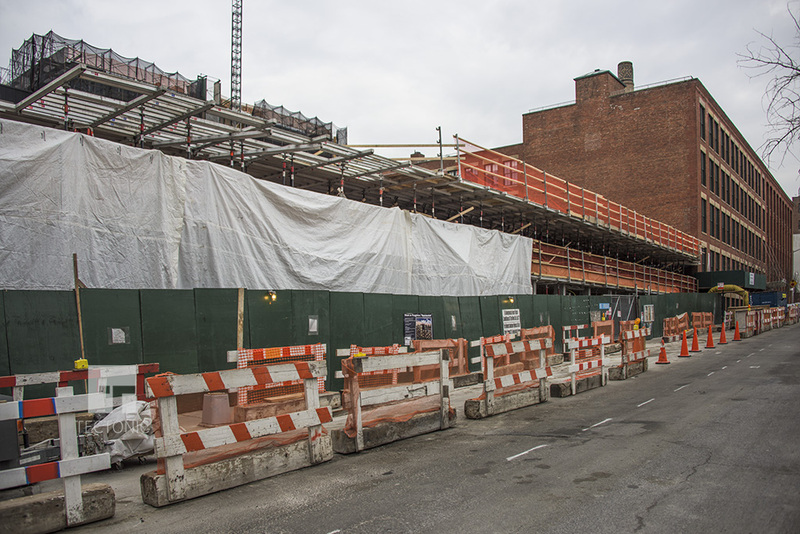 There will be 37,374 square feet for 15 condominiums. Completion of the entire project had been slated for 2016. Whenever it’s done, it will be right around the corner from the York St stop on the F train and only a seven-minute walk to the A/C at High St.
1 Comment on "181 Front Street Reaches Second Floor, DUMBO"
To see with the structure on the ground and completely building showing the way make people look at it, so the charm leading from the top of the shape.